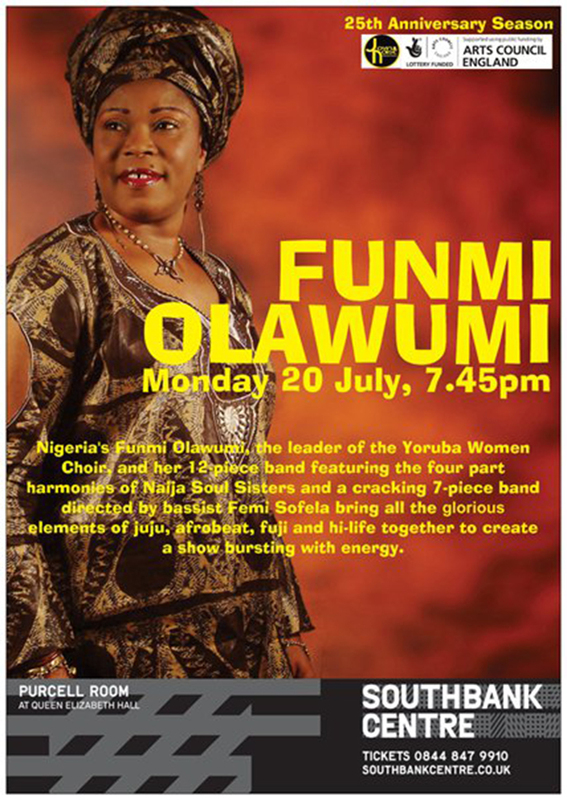 Funmi Olawumi is a leading force in African music., The Nigerian singer and founder of the Yoruba Women Choir brings together all the infectious rhythms of afrobeat, hi-life, juju and fuji to create hypnotic and uplifting dance music. Her lastest release, Funmi Ti De, received high praise across the world with The Guardian's Robin Denselow refering to it as 'a cheerful, upbeat album... that sounds better heard live'. 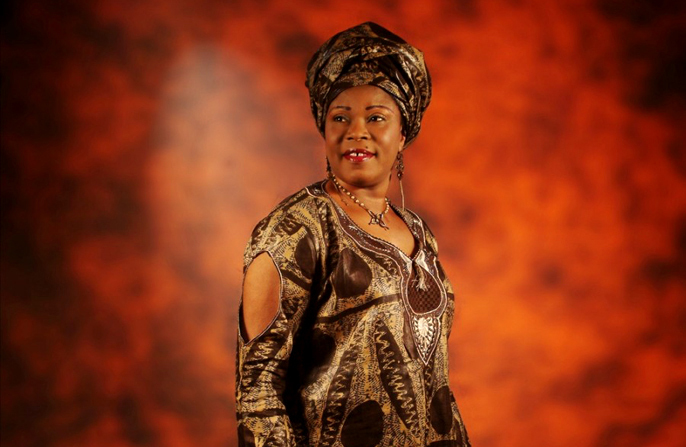 Tonight she performs the four-part harmonies of the Afro Soul Sisters (Esther Mabadeje, Nike Fagbuaro, Joy Aigbetan and Kehinde Talabi) with her 11-piece band. She also performs music with an eight-piece band that features Femi Sofela (bass); Lekan Sobiyi (guitar), Seun Oke (keys), Ben Audu (sax), John Bello (drums), Wole Aina (percussion), Wale Ogungbe (talking drum) and Imole Ayo (talking drum).